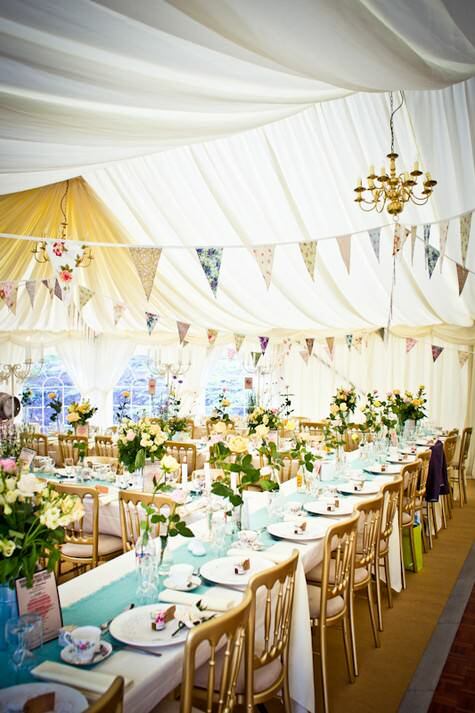 One of the more popular wedding themes trending today is the country wedding. 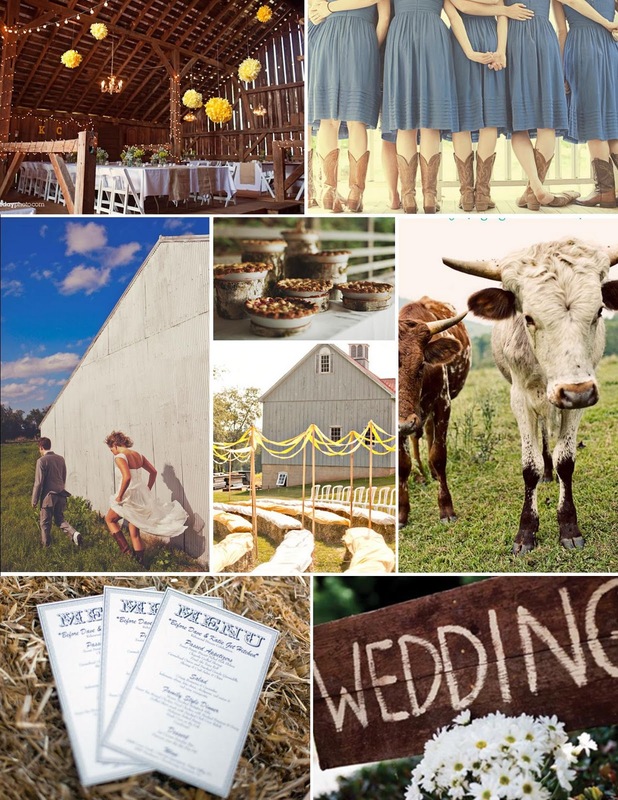 Country weddings can run the gamut from having an outdoor ceremony and reception near a field to planning a downright cowboy country wedding with cowboy boots, hats and horses. A country wedding theme may be one of the least expensive themes to plan, especially if you live in a rural area where there are a lot of countrysides and farmland. 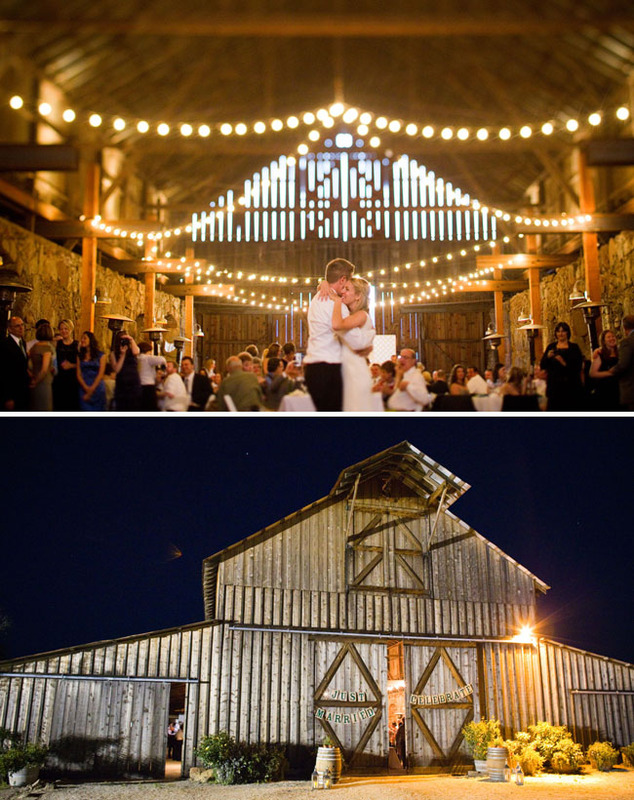 You might even live on a farm yourself, which can save you a good deal of cash when it comes to renting a venue. Obviously you have to plan for the weather as best as you can, especially for an outdoor wedding. They had a tent out in the grassy area with a beautiful backdrop of green trees and a running creek. Unfortunately, it drizzled most of the day, but everyone was under cover and still had lots of fun. For centerpieces or to add some extra color to your theme, use handmade items, family heirlooms or decorative mason jars for centerpieces and place settings. It's getting to be more popular to have the wedding ceremony at the same location as the reception. Or maybe you've found a small country chapel with a lot of ground where you can walk from the chapel right out back to the reception. If the ceremony is outdoors where the guests can see you arriving, why not have the groom and groomsmen arrive at the ceremony on horseback, and have the bride and her party arrive in a horse-drawn wagon. To add a little more down-home style to your country wedding theme, have mason jar redneck wine glasses on the head table for the bridal party to toast with. It's always a good idea to have music for everyone. So whether you're having a live band or a DJ or even both, you may want to add some country square dancing with some southern rock line dancing. Music doesn't have to be your only entertainment either. To help guests mix and mingle when they don't dance or aren't dancing, have an area set up for some horseshoes. 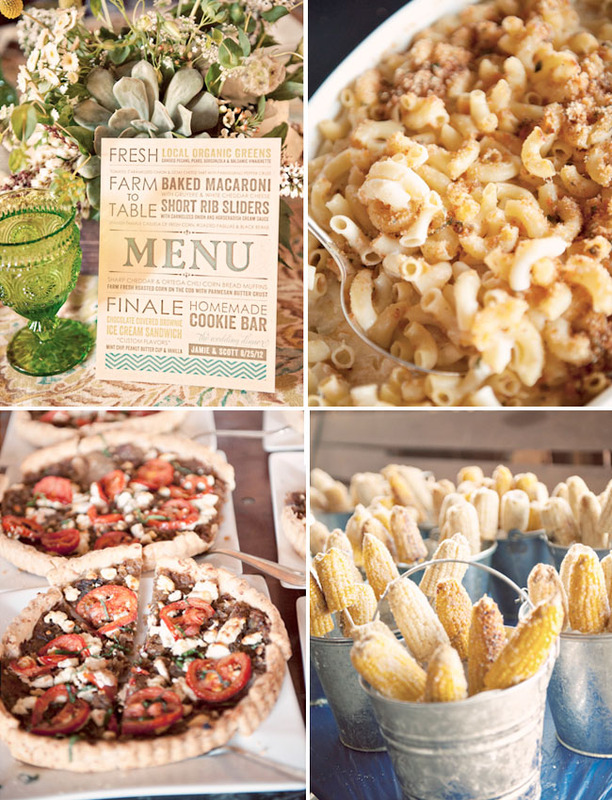 If your wedding is truly a do-it-yourself event, you can do the food yourselves too, as long as some of your family and friends don't mind pitching in with setting it all up and making sure all the food stays stocked. I went to an outdoor wedding reception once and the main meal was a huge pig roast! While the tent was up along the side yard with a live band and a portable dance floor, there was also a huge pig roast going on and lots of homemade food. Obviously if you check around, you should be able to find a caterer who knows how to do some good ol' country food for a buffet. Selections could include fried chicken and barbecue, along with cole slaw, potato salad, corn on the cob and baked beans. Add some fresh rolls and biscuits and you've got yourself a country wedding menu! Don't forget the desserts though. Trending now is getting away from the cake being the only dessert. Couples today are opting for a dessert table aside from the cake. For a country theme, desserts can include some homemade pies and cookies. 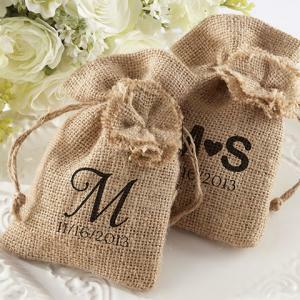 And last but certainly not least, wedding favors for your guests. Here are a few ideas for packaging favors for your guests. What you put inside is up to you, and the possibilities are endless!